FinTech Consortium, a global network of financial and technology organizations, today announced plans to open Detroit FinTech Bay, its flagship North American hub and incubator. The hub will be housed in renovated space at the former First Independence Bank building at 44 West Michigan Avenue. The two-story structure at Michigan and Griswold Street is located immediately west of 1001 Woodward (formerly First Federal Building). The consortium also named Rick Frisbie as chairman of its North American operations. Frisbie is former chairman of RobustWealth, a FinTech startup focused on robo-advisory that grew successfully and was acquired in June by Principal Financial Group. Prior to RobustWealth, Frisbie served for more than 20 years in a number of senior positions with Franklin Templeton, including chief administrative officer and head of Franklin Templeton Solutions. The FinTech Consortium is expanding its FinTech hub model after establishing centers in Bahrain and Singapore. “The new (Detroit) hub will further the development and acceleration of FinTech startups, as well as foster interaction between investors, entrepreneurs, government bodies, and financial institutions,” says Gerben Visser, founder of FinTech Consortium. Detroit was chosen for the flagship North American location because of the region’s raw talent for innovation and technology, said Frisbie. 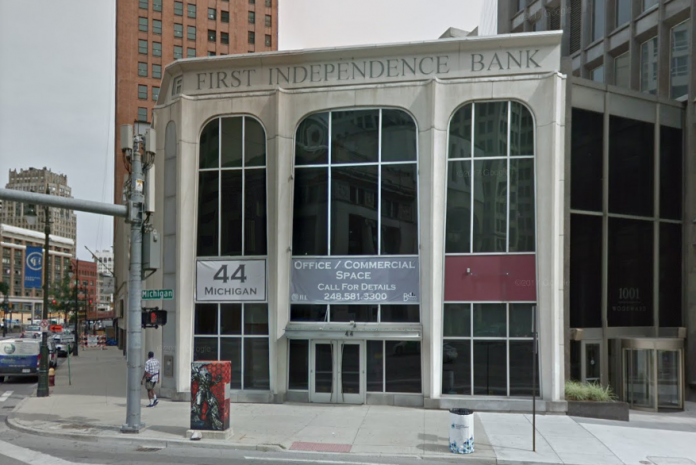 Detroit FinTech Bay is a dedicated FinTech coworking space, and a platform-neutral incubator, meaning there is not one sponsor or bank, but many. FinTech Consortium will bring together a local team to manage the hub, as well as integrate Detroit FinTech Bay into its global partner network and FinTech platforms such as BlockOn, InsurByte, RegFact, and others. A key mission of Detroit FinTech Bay will be to drive collaboration between financial innovators and financial institutions. Within the space, the community of residents, investors, and institutions will be offered leadership courses and activities, monthly classes, hackathons, demo days, pitch practices, mentorship relationships, and more. In addition, there will be talent development, education, and access to investment capital. Renovations on the 1938 building are scheduled to begin later this summer. Detroit FinTech Bay will occupy the lower level and second floor of the former bank building, retaining vaults and much of the original character in the design. The consortium says features will include dedicated offices and desks, hot desks, private meeting rooms, communal areas, and a variety of other shared infrastructure targeted toward local and international corporate innovators and FinTech startups. Detroit FinTech Bay is scheduled to open in early 2019. Businesses and financial institutions interested in becoming founding or corporate partners, or in incubating new innovations, as well as startups interested in becoming residents of the 20,000 square foot co-working space can submit an application by visiting https://www.detroitfintechbay.com/.